WHY WON'T VIRGINIA ENFORCE IT'S OWN COURT ORDER AND LAWS TO RETURN BABY EMMA WYATT TO HER RIGHTFUL BIRTH FATHER? ". . . Virginia is the appropriate jurisdiction as the 'Home State' of the child pursuant to both the UCCJEA and the PKPA (Parental Kidnapping Prevention Act 28 U. S. C. 1738 (A)." ". . . it is further ORDERED that the Commissioner of the Virginia Department of Social Services and the Compact Administrator for the Interstate Compact for the Placement of Children for the Commonwealth of Virginia be, and hereby is, ORDERED to provide any available assistance within his authority to cause the immediate and forthwith return of the child to the Commonwealth of Virginia, and to the father. Signed: The Hon. Gerald F. Daltan, 12/11/09"
Further, Utah refuses to comply with the Virginia Court Order. This issue is about CUSTODY of Baby Emma, not adoption. John never consented to adoption. She was taken to Utah without his knowledge. John filed for CUSTODY February 18, 2009, 5 days before ANY adoption paperwork was filed in Utah. Utah must honor Virginia's laws and also abide by the Full Faith and Credit Clause, Article 4 Section 1 of the U.S. Constitution. Kate Snow: "A Virginia Court did find in John Wyatt's favor. " Kate Snow: "Why does Utah not recognize that?" Mark Shurtleff: "Why does Virginia not recognize our law, I mean, that's, that's the problem. That's the debate that you have." Kate Snow: "So he's out of luck." Mark Shurtleff: "That's right. That's where the adoption occurred, and that's where the child is now, and that's the law that applies. I don't, I don't want to say so sad--you know--too bad--that's not my attitude with this father. I hurt for the father but we have to have laws and rules in place so that we have consistency in the application of the laws and that's what we think is provided here." There is no adoption in place. Baby Emma must come home to her birth father. She has a right to be loved and raised by her God-given father! Keep praying and calling and writing Virginia and Utah officials. We will never give up until Baby Emma Wyatt is home! We wish to express our sincere gratitude for all the support we have received for Baby Emma. While we aren't able to respond to each of you individually, please know that we read each and every email and posting and we appreciate all your words of encouragement so much. Thank you again for your overwhelming support for helping to bring Baby Emma Wyatt home. Please keep us in your prayers. God Bless You All! The Virginia Supreme Court has ruled that a parent intentionally deprived of parental rights may sue third parties involved in that deprivation. This is a significant step forward for fathers in their continuing fight for some semblance of equal rights to parent their children. Click Here to continue. "It is both astonishing and profoundly disturbing that in this case, a biological mother and her parents, with the aid of two licensed attorneys and an adoption agency, could intentionally act to prevent a biological father — who is in no way alleged to be an unfit parent — from legally establishing his parental rights and gaining custody of a child whom the mother did not want to keep, and that this father would have no recourse in the law," the majority said." UTAH ADOPTION LAW: MODEL FOR NATION OR UNJUSTICE BURDEN? -- You be the judge -- read the documents at BabyEmmaWyatt.com - Legal Tab! See the involvement of Larry Jenkins (Utah), Mark McDermott (Va.), Laraine Moon (Act of Love Utah Adoption Agency) and Thomas and Chandra Zarembinski (Utah) along with others!! 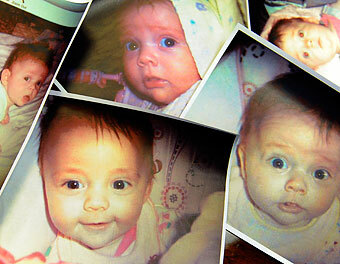 Was Baby Emma Wyatt taken from her birth father by fraud and conspiracy? The actions of those involved in removing Baby Emma from Virginia and spiriting her to Utah indicates this is the case. The Virginia Attorney General Ken Cuccinelli must act now and bring Baby Emma Wyatt home to her Birth Father! !